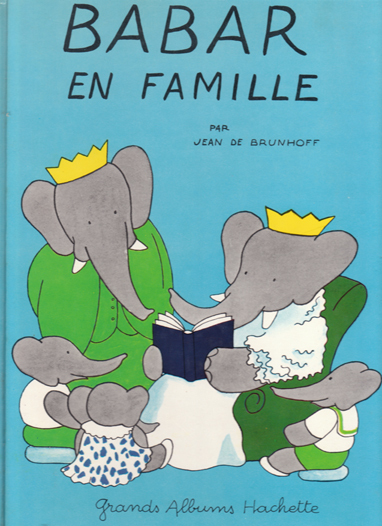 Description: There is great joy in Célesteville – Babar and his wife, Céleste, are expecting their first child…and end up with three! And then the adventure begins when the three little tykes get into all sorts of mishaps – often having to be rescued by the bravery and common sense of their parents! Illustrated with enchanting, full colour with ink and paint drawings. Handwritten text. Glazed pictorial boards. Spine and corners bumped and rubbed; minor rubbing along top edge of front cover. The book is in superb internal condition: pages are bright, unmarked, and completely free from foxing and tanning. A lovely copy of the rare '60s edition. Measures 32 cm × 23 cm (12.8″ × 9.2″). Folio. Unpaginated.